Some of the best ideas are born at kitchen tables, with people you have just met...such is the case for Camp Winning Spirit. In the fall of 1995 a chance meeting between a Lifeline board member and someone at the NH YMCA sparked what has become the highlight of the year for most families. In August of 1996 the first Camp Winning Spirit was held at YMCA Camp Coniston, and it has been a Labor Day tradition since. Camp Winning Spirit is an extended weekend for families of children with cancer. Participants may be presently in treatment, recently off-treatment, or have on-going concerns related to cancer. Camp Winning Spirit is a time for the whole family to run & play and have fun together. Children get to try new things offered by the camp and its caring staff. Parents have time together and find support from new and familiar faces who have shared similar struggles regarding pediatric cancer. There is a volunteer medical professional on call all weekend living in the camp infirmary. New London Hospital is 15 minutes away. This annual Labor Day weekend event is a collaboration between the Childhood Cancer Lifeline of NH and YMCA Camp Coniston that began in 1996. 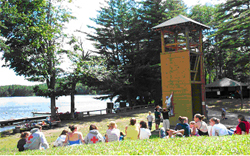 Camp Winning Spirit and all of its lodging, food and activities are free of charge to registered families. 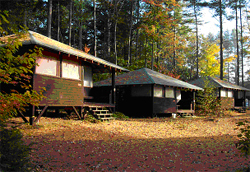 Camp Lodging - Cabins consist of bunk beds with mattresses and some shelves. Each cabin holds between 12-16 sleeping spaces. Toilets & showers are located in one camp shared bathhouse. Camera & film & batteries! *Avoid bringing food into your cabin. Chipmunks, squirrels and mice will visit you. *Camp has refrigerators in the dining hall for you if your family has special dietary needs. Camp Meals - All families mingle and eat together at tables sized for 10+ people. Meals are served at scheduled times, family style. Activities - Program activities change/rotate each morning and afternoon. Options throughout the weekend include: archery, tennis, basketball, sailing, swimming, snorkeling, kayaking, canoeing, Frisbee golf, arts & crafts, four-square, & wiffleball to name a few! Registration is on a first come – first serve basis with priority going to New Hampshire and Vermont families until August 15th. Registrations from other states will be accepted after that time. 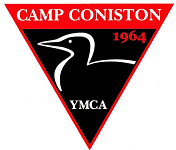 We thank YMCA Camp Coniston for their dedicated service to our mission of supporting the families of children with cancer.